Mothers, wives, concubines, entertainers, attendants, officials, maids, drudges. 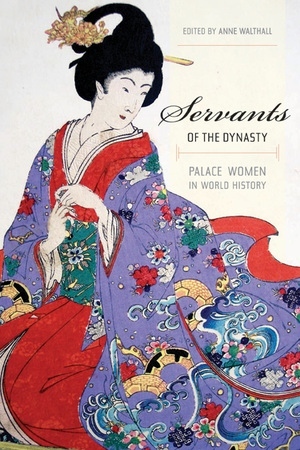 By offering the first comparative view of the women who lived, worked, and served in royal courts around the globe, this work opens a new perspective on the monarchies that have dominated much of human history. Written by leading historians, anthropologists, and archeologists, these lively essays take us from Mayan states to twentieth-century Benin in Nigeria, to the palace of Japanese Shoguns, the Chinese Imperial courts, eighteenth-century Versailles, Mughal India, and beyond. Together they investigate how women's roles differed, how their roles changed over time, and how their histories can illuminate the structures of power and societies in which they lived. This work also furthers our understanding of how royal courts, created to project the authority of male rulers, maintained themselves through the reproductive and productive powers of women. Anne Walthall is Professor of History at the University of California, Irvine. She is author of Japan: A Cultural, Social, and Political History and The Weak Body of a Useless Woman: Matsuo Taseko and the Meiji Restoration, among other books.